XLeratorDB lets you embed an umatched range of business data analytics right in your own applications. In-Database Analytics - which is the term for the technology provided by XLeratorDB - lets you calculate rates of return, bond figurations, loan amortizations, business dates, regression analyses, interpolations, percentiles, correlation matrices, and much, much more – without having to export data to external applications - all by utilizing your existing SQL Server infrastructure! If you've ever used Excel you will find these functions so familiar and easy to use that you could be getting results just minutes after installing. XLeratorDB enhances your SQL Server - which can hold more than a terabyte of critical operational data - giving you a new level of power and accuracy to super-charge your application's analytics and reporting functions! Use XLeratorDB/financial for a wide variety of financial calculations. The feature-rich XLeratorDB function library lets you include calculations in any T-SQL statement including SELECT, INSERT, UPDATE, DELETE, CREATE VIEW as well as in CTEs, stored procedures, user-defined functions, and computed columns. Rates of Return - IRR, XIRR, NPV, RATE, DIETZ, etc. Bond Figurations - ACCRINT, PRICE and YIELD for both ODDF and ODDL coupons, etc. Capital Asset Pricing Model - INFORATIO, SHARPE, SORTINO, TREYNOR, etc. Loans - PMT, IPMT, CUMPRINC, AMORTSCHED, etc. Yield Curve Construction - SWAPCURVE, NELSONSIEGEL, INTERPDFACT, ZEROCOUPON, etc. Business Dates - EOMONTH, FIRSTWEEKDAY, BUSDAYS, DAYS360, YEARFRAC, TENOR2DATE, etc. Use the XLeratorDB/statistics package for a wide variety of advanced in-database analytics statistical functions. The feature-rich XLeratorDB function library lets you include calculations in any T-SQL statement including SELECT, INSERT, UPDATE, DELETE, CREATE VIEW as well as in CTEs, stored procedures, user-defined functions, and computed columns. The documentation, below, includes sample SQL. Statistical inference – specific tests - CHISQ, TTEST, etc. Use XLeratorDB/math for a wide variety of mathematical calculations. The feature-rich XLeratorDB function library lets you include calculations in any T-SQL statement including SELECT, INSERT, UPDATE, DELETE, CREATE VIEW as well as in CTEs, stored procedures, user-defined functions, and computed columns. The documentation, below, includes sample SQL. Arithmetic/Algebra - PRODUCT, MROUND, etc. Trigonometry - ACOSH, SEC, TANH, etc. Number Generators - RANDBETWEEN, SERIESINT, etc. Interpolations - INTERP, SPLINE, etc. Matrix Functions - MMULT, MINVERSE, etc. Use XLeratorDB/engineering for a wide variety of engineering calculations. The feature-rich XLeratorDB function library lets you include calculations in any T-SQL statement including SELECT, INSERT, UPDATE, DELETE, CREATE VIEW as well as in CTEs, stored procedures, user-defined functions, and computed columns. Engineering – BESSELI/J/K/Y, ERFC, etc. Base Conversions – BIN2DEC, OCT2HEX, etc. Complex Numbers – COMPLEX, IMSQRT, IMREAL, etc. Use XLeratorDB/strings for a wide variety of string manipulations. The feature-rich XLeratorDB function library lets you include text manipulations in any T-SQL statement including SELECT, INSERT, UPDATE, DELETE, CREATE VIEW as well as in CTEs, stored procedures, user-defined functions, and computed columns. Formatting – CONCAT, PARSE, TEXT, SPLIT, etc. Information – COUNTSTRING, FIND, ISALPHA, etc. XLeratorDB/financial-options is a PREMIUM XLeratorDB function package, which contains specialized, high-valued functions for specific industry segments. Use XLeratorDB/financial-options for OTC and ETO financial-options calculations. The feature-rich XLeratorDB function library lets you include calculations in any T-SQL statement including SELECT, INSERT, UPDATE, DELETE, CREATE VIEW as well as in CTEs, stored procedures, user-defined functions, and computed columns. 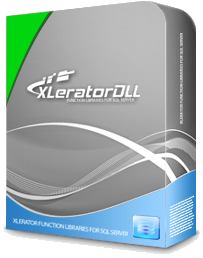 XLeratorDB Suite includes all functions from these XLeratorDB packages - functions to perform all kinds of financial, mathematical, statistical, engineering, etc., calculations in the SQL Server environment. Presented in a format familiar to anyone who has used Excel you can now bring the power of those functions into the T-SQL environment. XLeratorDB Developer includes all functions from these XLeratorDB packages. For use with SQL Server Developer editions, use this package to perform all kinds of financial, mathematical, statistical, engineering, etc., calculations in the SQL Server environment. Presented in a format familiar to anyone who has used Excel you can now bring the power of those functions into the T-SQL environment. 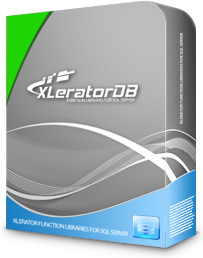 XLeratorDB Suite - Annual Subscription includes all functions from these XLeratorDB packages. 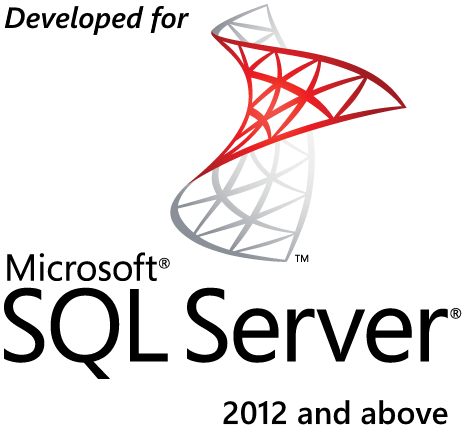 For use with SQL Server 2008, 2012, 2014, 2016, use this package to perform all kinds of financial, mathematical, statistical, engineering, etc., calculations in the SQL Server environment. Presented in a format familiar to anyone who has used Excel you can now bring the power of those functions into the T-SQL environment. The subscription package license is valid for one year and is suitable for installation on development and test servers. Unlike XLeratorDB-Developer this package does not require the Developer Edition of SQL Server. XLeratorDB SuitePLUS includes all functions from the XLeratorDB Suite package PLUS XLeratorDB/financial-options - functions to perform all kinds of financial, mathematical, statistical, engineering, etc., calculations in the SQL Server environment. Presented in a format familiar to anyone who has used Excel you can now bring the power of those functions into the T-SQL environment. XLeratorDB DeveloperPLUS includes all functions from the XLeratorDB Developer package PLUS XLeratorDB/financial-options. For use with SQL Server Developer editions, use this package to perform all kinds of financial, mathematical, statistical, engineering, etc., calculations in the SQL Server environment. Presented in a format familiar to anyone who has used Excel you can now bring the power of those functions into the T-SQL environment. XLeratorDB SuitePLUS - annual subscription includes all functions from the XLeratorDB Subscription package PLUS XLeratorDB/financial-options. For use with SQL Server 2008 / 2012 / 2014 / 2016, use this package to perform all kinds of financial, mathematical, statistical, engineering, etc., calculations in the SQL Server environment. Presented in a format familiar to anyone who has used Excel you can now bring the power of those functions into the T-SQL environment. The SubscriptionPLUS package license is valid for one year and is suitable for installation on development and test servers. Unlike XLeratorDB Developer this package does not require the Developer Edition of SQL Server. XLeratorDB/windowing contains advanced windowing analytical functions for SQL Server 2005 and later. Use XLeratorDB/windowing to perform sophisticated windowing queries that cannot be done with the native SQL Server windowing functions. The feature-rich XLeratorDB function library lets you include calculations in any T-SQL statement including SELECT, INSERT, UPDATE, DELETE, CREATE VIEW as well as in CTEs, stored procedures, user-defined functions, and computed columns. XLeratorDB/windowing is a stand-alone package. It is not included in the XLeratorDB Suite, Developer or Subscription compilation packages. Running Count, Sum, Avg, STDEV, VAR, etc. Running Slope, Intercept, Forecast, etc. Moving Slope, Intercept, Forecast, etc. Moving and Running Kurtosis, Skew, T-Test, etc. The XLeratorDLL function library for .NET complements the XLeratorDB family of products and is perfect for organizations that can benefit from rapidly building sophisticated financial applications using the same rich set of functions found in XLeratorDB but without the SQL Server requirement! Verify your Server Name Configuration BEFORE YOU PURCHASE! USE XLeratorDB/util's TestServer() function to verify that XLeratorDB products will install successfully with the server name you specify during checkout.